After nearly 40 years in the automotive repair business, the last 29 as a shop owner as well, I retired in 2000. I feel the day is wasted unless I can create or fix something. Anything to do with using my hands. Woodworking and woodturning has been a natural transition. It is exciting learning and perfecting techniques to better my craft. When you learn new skills, one adds to their personal manual, metal, and emotional tool box. One also multiplies their opportunity for self fulfillment. You learn to think in new ways. You make creative progress, and the benefits can only be positive. Handwork is a powerful form of mental therapy, less expensive than a Psychiatrist, more efficient than medication, and a lot less risky than drugs or alcohol. In Oct. of 2004 I participated in a 3 day workshop with Curt Theobold at his shop in Pine Bluff, WY. After that, through e-mails, pictures, and phone calls, I'd like to think we've become pretty good friends. In August of 2005 Curt asked me to assist him in teaching a one week segmented/polychromatic bowl class at the Mark Adams School of Woodworking in Indianapolis, IN. That I did. In Sept. of 2007 I attended a 3 day hands on workshop with David Ellsworth at his shop in Quakertown, PA. That was also a great experience. He is truly an artist and craftsman. His home is like a mini-museum with lots of his work, his wife's work, (Beading) and many of his artist friends work in his collection and on display. All of these connections have been a great resource in getting it done right and learning about the latest state of the art in tools and techniques. 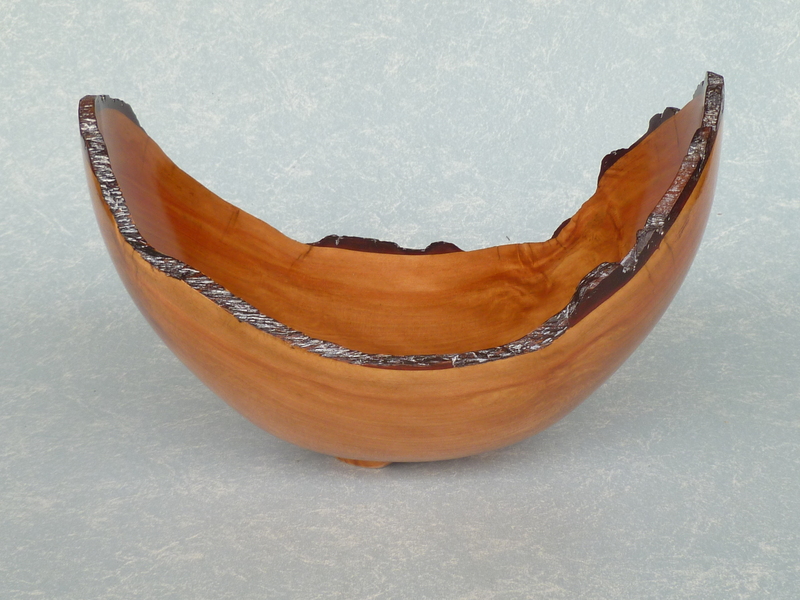 I am a current member of the Orange County Wood Turners as well as the AAW. The stimulation of being part of organizations of masters like these has helped me to improve my techniques and it's a fellowship I'm proud to be a part of. Over the years I've attended many other demo's, symposiums, and workshops both for the learning and entertainment value.